Foreclosure Defense Category Archives — Reboot Your Life: Tampa Student Loan and Bankruptcy Attorney Blog Published by Tampa, Florida Bankruptcy Attorney — Christie D. Arkovich, P.A. Foreclosure Auction: Postponed May not Equal Cancelled! Beware out there – consult with a foreclosure defense attorney or a bankruptcy attorney to make sure you know what’s going on with your home if it is in foreclosure — and the various options on how to keep your home. 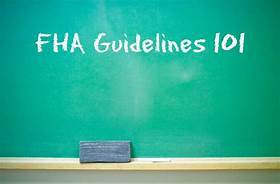 I’ve written before about the requirement in FHA mortgages that the lender send certified letters and conduct a face-to-face meeting with a borrower before initiating a foreclosure. When a lender fails to do that, the may be liable for the damages sustained in a wrongful foreclosure. There are other advantages as well to allow for the transfer of the debt to a third party or even another family members in case they wish to keep the home if the borrower becomes ill or even passes away. Also it’s easier to obtain deficiency waivers of the debt in case a short sale or foreclosure occurs. If you have a FHA mortgage and have not had a face-to-face meeting with your lender, this may be the ticket to stop the foreclosure! Foreclosures are on the rise in Florida: Tampa/St. Pete is up 75%; Orlando is up 198% and Jacksonville is up an astonishing 332%. While Tampa is the strongest real estate market of these other Florida metro areas, this uptick bears watching. Overall, I’d have to say as a foreclosure defense attorney that lenders appear to have corrected many of their ways regarding properly documenting a mortgage and its subsequent assignment. But lender practices are often still deficient. 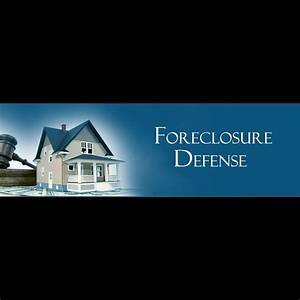 A foreclosure defense attorney just needs to be more diligent in representation to ensure our laws are followed. A mechanism that was designed to prevent unnecessary foreclosures is found in FHA mortgages and is known as the face-to-face meeting requirement. 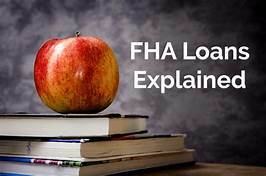 FHA notes specifically limit acceleration of the debt and foreclosure only when permitted by HUD regulations. During the mortgage meltdown, many homeowners received financial assistance from a fund set up by Florida called Florida’s Hardest Hit Program. This was primarily for folks whose income dropped during the recession. Due to lack of funds, the program has now ceased taking applications. However, there is one assistance program still open – the Florida Elderly Mortgage Assistance (ELMORE) program. This program offers as much as $50,000 to elderly homeowners who have reverse mortgages. While titled the “Economic Growth, Regulatory Relief, and Consumer Protection Act,” the Act is generally called “the Crapo bill” after its lead sponsor, Republican Senator Mike Crapo of Idaho. 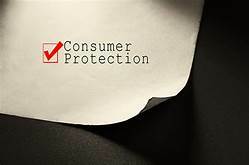 With a few exceptions discussed below, the changes either carve out exceptions from compliance with consumer statutes or codify consumer protections that at least certain industry players are already following on their own. The Servicemembers Civil Relief Act, 50 U.S.C. § 3953(c), provides protections from foreclosure for covered personnel where their residential mortgage loans were extended prior to their active duty. Originally this protection extended for only 90 days after the person left military service, but this period was extended to nine months and later to one year, but with a sunset at the end of 2017. Section 313 of Public Law No. 115-174 restores the one-year period and eliminates the sunset, making the one-year period permanent. This is good news for our armed forces who are facing foreclosure now or in the future. The one year protection has been re-established after it expired last year and has been made permanent!